Singing and Spinning: Our kids, and Uncle Mike, must be crazy! 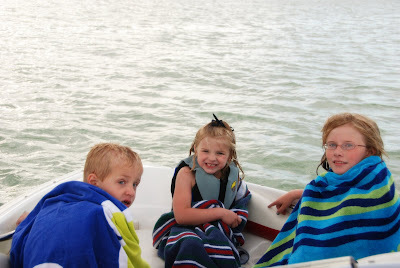 The kids absolutely enjoyed their evening on the lake. I can't believe they stayed in the water once they got in and said it was freezing. 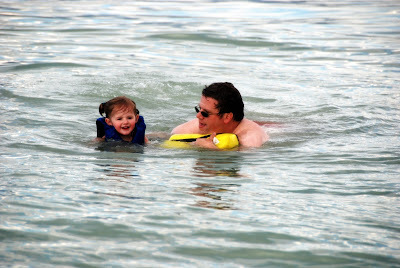 Uncle Mike was a good sport and played in the water with the kids the whole time. He was sort of Ivy's little buddy. 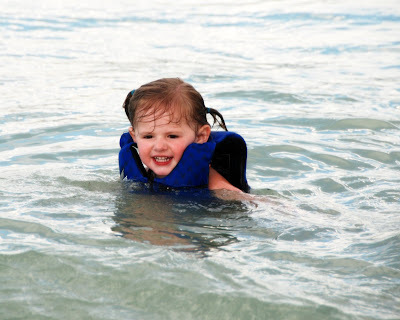 She loves swimming, or in ivy-nese it is "wimming." 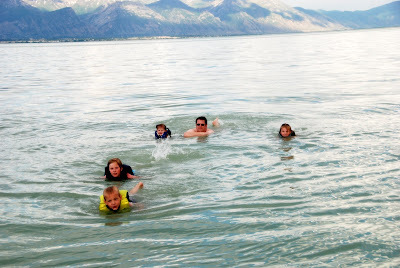 Let's get the kids really wet and cold, put 'em in the front of the boat and then go really fast. That shouldn't get them sick.